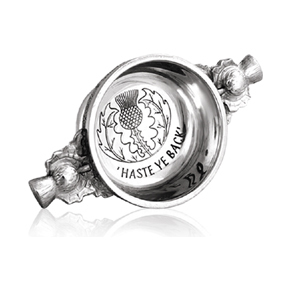 The traditional cup of friendship in Scotland - a perfect wedding gift or groom's present. 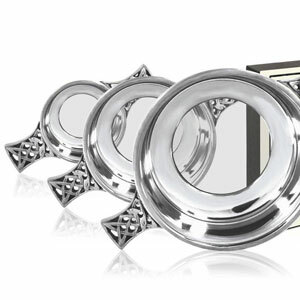 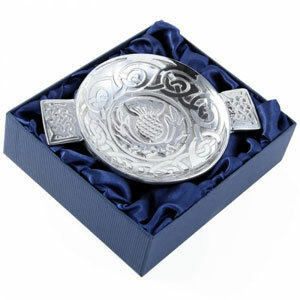 Shiny polished pewter and open celtic knot handles make this pedestal quaich a perfect wedding gift. 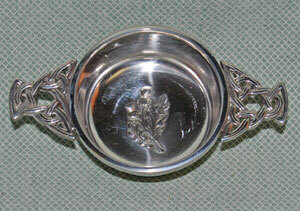 Bonnie Prince Charlie has a glass bottom quaich so he could keep watch on his companions. 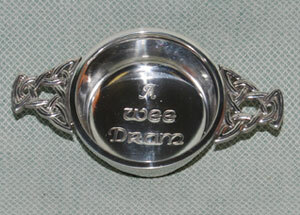 Share 'a wee dram' with this pewter quaich with 2.5" bowl. 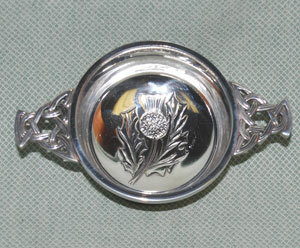 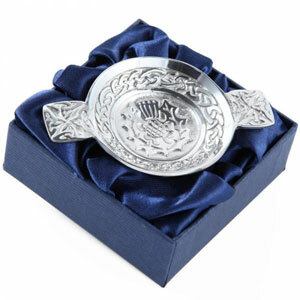 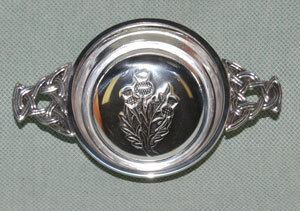 Handmade in Scotland, this thistle center mini quaich make a great gift.